The B.C. 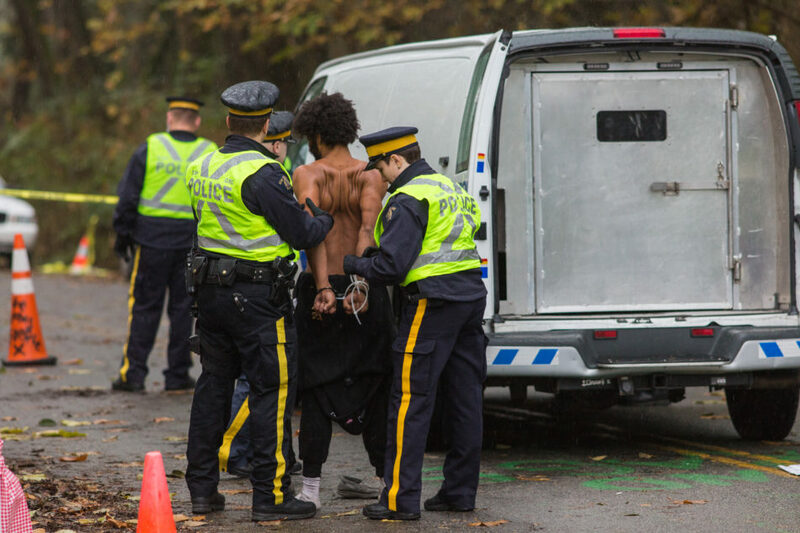 RCMP moved to dismantle a gated checkpoint maintained by the Wet’suwet’en First Nation on Jan. 7, arresting 14 people involved in supporting a barricade which was constructed to keep people off of their traditional land. The RCMP action was supported by a B.C. Supreme Court injunction ordering the dismantling of the blockade. The injunction allowed the employees of Coastal GasLink, a subsidiary of TransCanada, to access the vicinity around the Morice West Forest Service Road and the Morice River Bridge—both areas located in the traditional Wet’suwet’en territory—which hereditary leaders of the five clans of the Wet’suwet’en Nation have pledged to protect. The position of the hereditary chiefs is in conflict with that of the elected council, which had negotiated a deal with the Province of B.C. in 2014, agreeing to work with CGL following an environmental assessment of the project. “While these agreements ensure First Nation communities share in the economic benefits of LNG, we are working collaboratively with the Province and other First Nations to ensure environmental priorities are addressed as well,” said Wet’suwet’en Chief Karen Ogen in a 2014 press release. In the injunction, CGL says that the construction of the pipeline would create approximately 2,500 jobs, worth about $1.4 billion of labour income. According to the document, it would also contribute “at least $500 million in federal tax revenues and at least $100 million in British Columbia provincial tax revenues,” in addition to generating about $20 million annually in property taxes for the regional districts that the pipeline would cross. Additionally, in return for the land use, the Wet’suwet’en would receive $2.8 million from the province over the duration of the construction process, as well as a share of $10 million in ongoing benefits for the lifetime of the pipeline, which was estimated to be 25 to 35 years. Wet’suwet’en hereditary chiefs publicly disagreed with allowing pipeline development on their land, and David de Wit, natural resource manager for the Office of the Wet’suwet’en, spoke out against the deal. “Just the proposed construction alone will impact the water quality, fish habitat, and wildlife abundance. We have never stated that we are against resource development. However, after careful consideration weighing the risks and potential benefits, we are opposing proposed pipelines,” he said in a statement released in 2013. The pipeline project includes the construction of a 670-kilometre natural gas pipeline that would stretch from Groundbirch, a small community close to Dawson Creek, to the LNG export facility in Kitimat. The injunction describes the LNG facility as being a joint venture between several corporations including Royal Dutch Shell plc, PETRONAS, and Diamond LNG Canada ltd.—an affiliate of Mitsubishi Corporation—among others. Members of the Un’istot’en clan had been living in a camp along the proposed pipeline route since 2009 and, supported by the hereditary chiefs, remained firmly opposed to pipeline development on their land. In the time since, tensions escalated between the Unist’ot’en and the B.C. RCMP as CGL workers tried to gain access to the land. “Despite what is being portrayed by some media and on social media, the B.C. RCMP would like to emphasize that we remain impartial in this dispute,” it read. Following these developments, a second camp and checkpoint named after the Gidim’ten clan was set up along the road, which the B.C. RCMP dismantled on Jan. 7, 2019, while enforcing the injunction requested by CGL. Fourteen people were arrested and taken to Houston, B.C., about an hour north of the site. This happened after the original injunction was expanded to include the second checkpoint on Jan. 4. In addition to the demand that the checkpoint be dismantled, CGL’s civil claim also seeks general damages, exemplary or punitive damages, and costs and interest from individuals involved. The claim says that their behaviour constitutes acts of creating a public nuisance including breach of contract, intentional interference with economic relations by unlawful means, conspiracy, and intimidation. Before dismantling the checkpoint, the RCMP set up a blockade around the area and prevented the public and media from accessing it. The dismantling of the checkpoint also prompted public backlash to the actions of the RCMP, and rallies were organized in support of the Unist’ot’en in cities across Canada on Jan. 8. Unist’ot’en members negotiated with the B.C. RCMP on Jan. 9. On Jan. 10, hereditary chief of the Tsayu clan of the Wet’suwet’en, Na’moks (also known as John Ridsdale) announced that the vehicles parked on the bridge blocking access would be moved, the injunction respected, and that CGL workers would be granted conditional access to the land. Still, hereditary chiefs remain opposed to the pipeline development. Those who were arrested on Jan. 7 allege that the RCMP used an inappropriate amount of force while making the arrests, and video footage of the event shows RCMP officers climbing over the barricade and forcing people to the ground before arresting them. Thorpe, who is of Métis and of Cree ancestry, says that the KSA condemns the actions of the RCMP and the provincial and federal governments as they go against promises set during the Truth and Reconciliation Commission. “The second that somebody says, ‘No,’ that should be respected because it’s their land,” he adds. Lekeyten, an Elder of the Kwantlen First Nation and KPU’s First Nation Elder in Residence, visited family friends in the Wet’suwet’en territory in December. In 1997, The Supreme Court of Canada decided during the case of Delgamuukw v. British Columbia that the government does not have the right to override Indigenous peoples’ rights to their ancestral territories. This case is being looked at as a reference point for determining the rights and titles of the Wet’suwet’en hereditary chiefs to their unceded territory following the 14 arrests made on Jan. 7. “We are dedicated to true partnerships, ongoing communication, and consultation with the local indigenous communities on whose lands our university is located as well as with local community-based and grassroots indigenous organizations,” it reads. One of the TRC’s calls to action references the United Nations Declaration on the Rights of Indigenous People, which was made in 2007. When The Runner reached out to KPU Media Relations for their input on this subject, the administration declined to comment. Brandon Gabriel, an artist, member of the Kwantlen First Nation, and KPU graduate, travelled north with Lekeyten to support family friends in Wet’suwet’en territory in December. 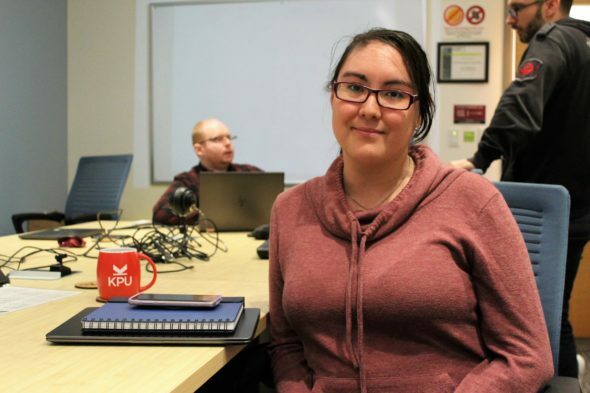 KSA Indigenous Students Representative Sarah Strachan is a member of the Gwich’in First Nation, and unlike Gabriel, she was surprised by KPU’s declination to comment on the issue.